One third through the 2017-18 ABB FIA Formula E Championship, Felix Rosenqvist finds himself sitting second in the overall standings. With two wins from four races so far this campaign, the Mahindra Racing Swede is gearing up for another electric showdown this weekend in Mexico City. After gracing the top step of the podium in Hong Kong and Marrakesh, Rosenqvist produced a crucial fightback drive last time out in the Santiago E-Prix as he recovered from a difficult qualifying session to salvage a strong fourth-place finish in the Chilean capital. While that effort was not enough to hold on to the overall championship lead – race-winner Jean-Eric Vergne instead seizing the advantage – Rosenqvist remains firmly in the title chase in second place, just five points adrift of his French rival. Five points down on Rosenqvist, in turn, is Sam Bird, with the top trio having now opened up a bit of a gap over the rest of the field. Fourth-placed Sébastien Buemi, the 2015-16 Formula E champion, currently trails leader Vergne by 34 points as racing resumes at the Autódromo Hermanos Rodríguez – and Rosenqvist is eager to keep up the momentum. This will be the third edition of the Mexico City E-Prix, and Rosenqvist’s second appearance at the event. 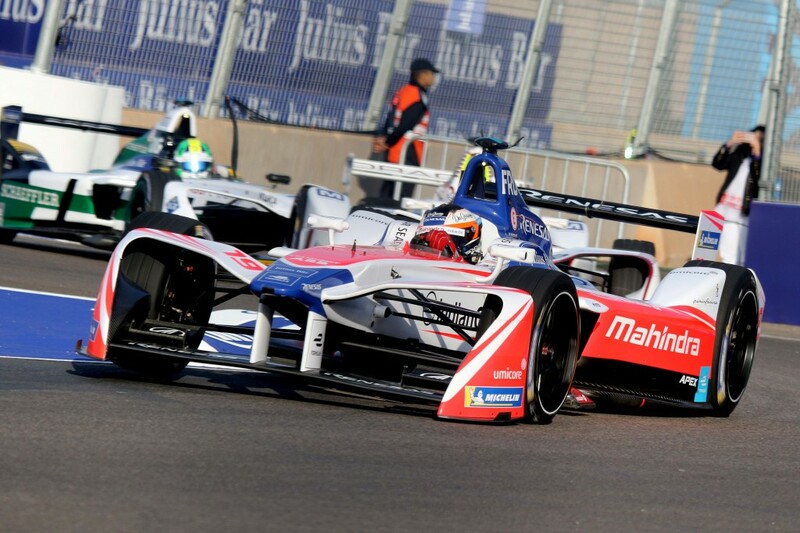 His 2017 race ended two laps before the end after he became the unlucky victim of a clash up ahead in which Nicolas Prost spun the second Mahindra Racing machine of Nick Heidfeld around in the twisty Foro Sol stadium section. Following close behind, the unsighted Rosenqvist was left with nowhere to go but into the path of his spinning team-mate, crashing out of the event when running eighth. At some 2,250 metres above sea level, Mexico City sits at the highest altitude of any Formula E venue, which means teams and drivers will have to combat low air pressure and unique complications as far as battery cooling and energy management are concerned. The Mexico City E-Prix takes place on Saturday, marking the fifth race out of 12 on the 2017-18 calendar.